Two police officers came to the rescue of an area homeowner and an unexpected visitor. After a large buck got caught in a makeshift backyard hammock, officers Matt Donaldson and Kevin MacDonald of the Yonkers Police Department swooped in. The two were able to tranquilize the deer and free him from his confinement behind the Arthur Place home. 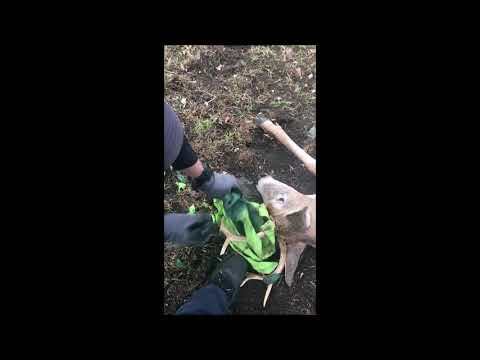 On a video released by the police department, the deer can be seen struggling with the hammock, which got tangled in the buck’s antlers. Once freed, the deer took off into the brush behind the residence and into the woods without further incident.